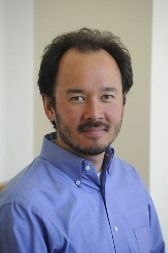 Dean Yang is an Associate Professor at the University of Michigan, where he holds appointments at the Ford School of Public Policy and the Department of Economics. His areas of interest include international migration and remittances, microfinance, human capital, disasters, international trade, and crime and corruption. He is currently running survey work and field experiments among Central American migrant workers in the U.S., among potential overseas migrants in the Philippines, and on microfinance in Malawi and Mozambique. He teaches courses in development economics and microeconomics at the undergraduate, master's, and Ph.D. levels. He was a visiting professor at Princeton University in 2006-07. He has worked as a consultant on development issues for the World Bank, the Inter-American Development Bank, the UNDP, and in El Salvador and Peru. A native of the Philippines, he received his undergraduate and Ph.D. degrees in economics from Harvard University. Dean Yang joined CReAM as an external fellow in February 2007.